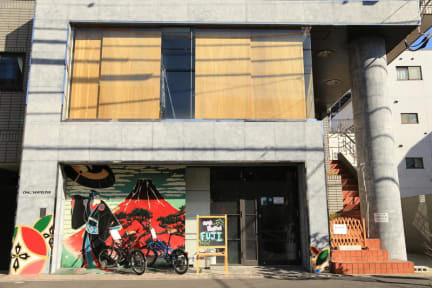 Oakhostel Fuji, Tokio, Japonia : Rezerwuj teraz! The hostel is located in Sumida-ku, or 'Sumida Ward', in downtown Tokyo. The most famous district in this area is Asakusa and Tokyo Sky Tree, one of the most famous tourism districts in the world. Ryogoku, Sumo arena, is 1.6km from Oakhostel Fuji. 2. Check-out Tme: from 08:00 to 11:00. 3. Front Desk Hour: 08:00 to 23:00. 4. Payment: Cash (Japanese yen) or credit card (Visa, Master card, JCB, American Express, UnionPay) is welcomed upon arrival. (3) No-show - 100% of room rate. 6. Age Restriction: The minimum age to stay in the hostel is 18 years old.